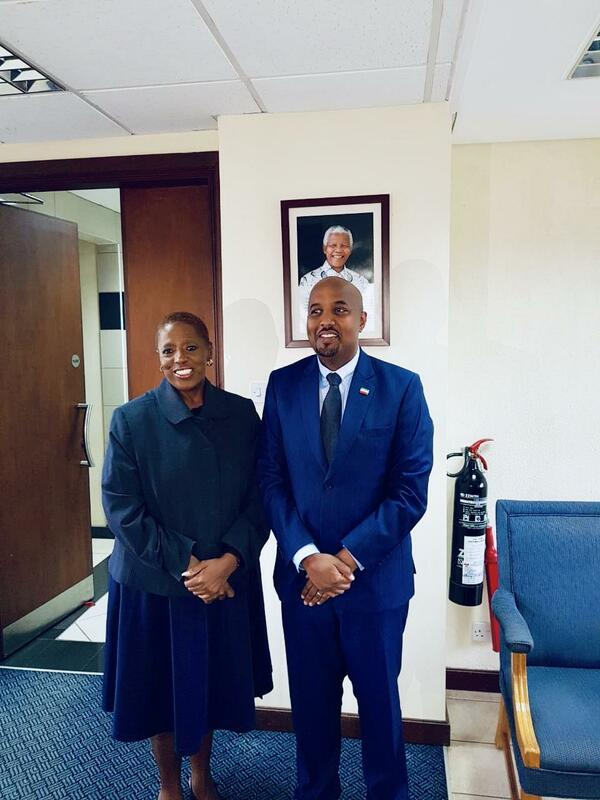 NAIROBI– The head of Somaliland mission to the republic of Kenya, Mr. Bashe Awil paid a courtesy call today to on the South African, High Commissioner, M.s. Koleka Anita Mqulwana. According bridged statement that Somaliland representative posted on his linkedin account stated that the mission was was to broaden and deepen the existing bilateral relations between the two countries as well as rekindling the historical ties between South Africa and Somaliland. It was just a couple of days ago that a high level delegation from the ruling South African party paid a courtesy call to Somaliland president, His Excellency, Musa Bihi Abdi. Relations are getting stronger as the two countries are aimed at boosting the newly established bilateral ties between the two nations.